Historic Country Manor House, meticulously maintained, awaits your arrival! Enjoy the luxury of 5 bedrooms & 3 baths in a home radiant with quality. Large Master Suite on main level. Well-designed Kitchen & Breakfast Room invite friends & family for relaxed entertaining & holiday celebrations. The formal Living & Dining Rooms lend themselves to a gracious lifestyle, while the sunroom, porches & gorgeous in-ground Pool offer all the current amenities. The large covered Patio adjoins the Pool & suggests that a Party is soon in the offing! 3-stall barn with tack room & open shed area with fenced pasture provide attractive & easy accommodations for horses. 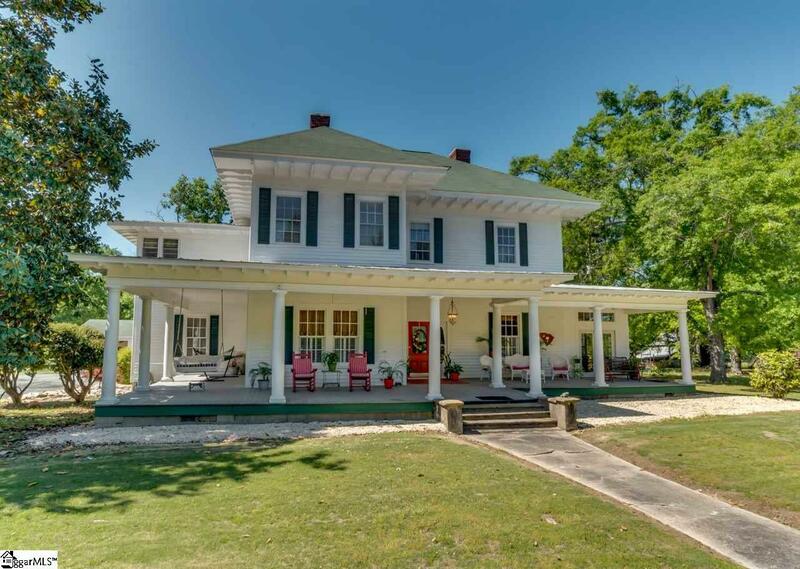 Located just 70 miles from the new Tryon Equestrian Center! Listing provided courtesy of Jean Wagner of Walker, Wallace & Emerson Rlty.